The 3D Ugly Christmas Sweaters are so passe. 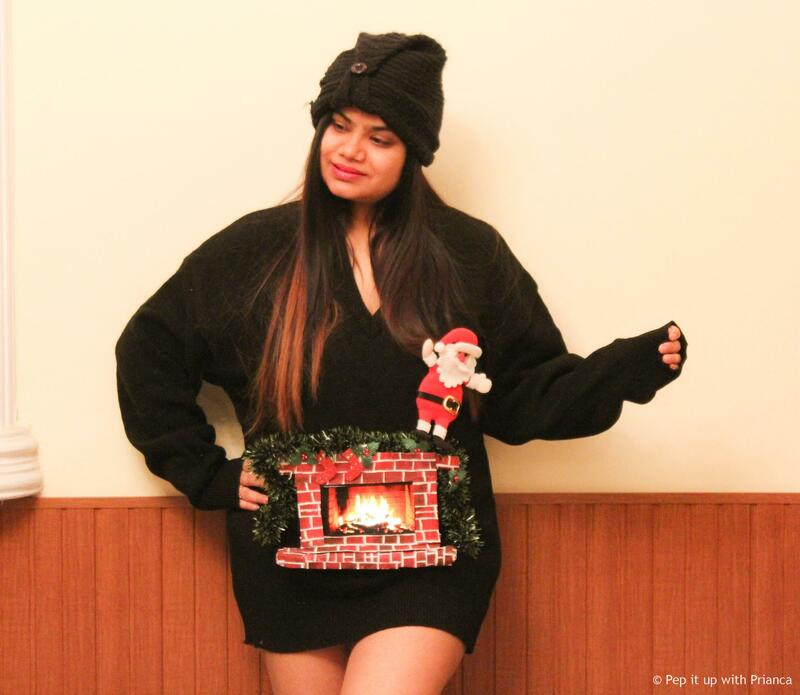 In this video, I will be introducing the 4D Ugly Christmas Sweater with a fireplace and sharing step by step Do it Yourself instructions! Trust me folks, you will kill any competition at a party with this 4D Ugly Christmas Sweater and will light up the room — literally — with this awesome eyesore, yet charming Christmas sweater. You will know you have made a great choice when you walk into the holiday party and everyone gasps with delight. Step 1: Make a rectangular cut-out using thermocol sheet for your smart phone to fit into it. Ensure the cutout holds the phone tightly so that it does not fall. Since the thermocol is white, use water color and your imagination to paint its edges as shown in video. Step 2: Paint the brick design on A4-sheet so that it can be later used to give the fire-place look and feel as shown in video. Step 3: Using thread and needle, attach the cutout to the sweater and paste the brick designed A4-sheet cutouts on the thermocol edges as shown in video. Finally decorate the fireplace using the leaves and other decorations as shown in video. You now have the 3-D Ugly Christmas sweater ready. Step 4: Now it’s time to make this sweater 4-D! Attach your smart phone in the cutout as shown and play any unlimited fireplace video on the YouTube app as shown in video. Ta-da! Your 4-D Ugly Christmas Sweater is ready. Wishing you lots of smiles and a very merry Christmas.